Andrea K Lawson Artist - Exhibits, Workshops and News - Is this a Sexist Country?- or can the First Lady be a man? Is this a Sexist Country?- or can the First Lady be a man? 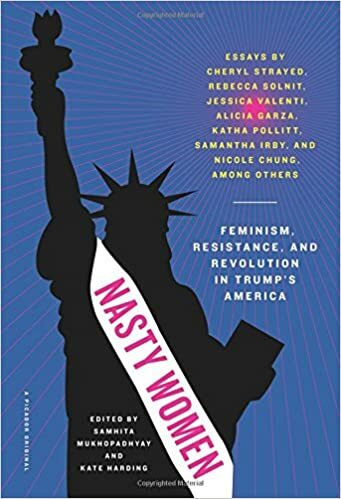 I was just reading a book of essays edited by Samhita Mukhopadhyay and Kate Harding called Nasty Women., Feminism, Resistance, and Revolution in Trump's America. When I hear about a book on the radio or listen to an interview with an author who sounds interesting, I usually, scribble the title down on a scrap of paper which then often disappears for decades. My note about Nasty Women didn't suffer that fate.It resurfaced recently during a binge desk sorting. All or most of the essays included in the book are worthwhile, although, I occasionally skimmed the parts about all the disappointment and shock day after elections since I have heard, felt and rehashed that too many times. As mentioned, all the essays are worth reading but We Have a Heroine Problem by Carina Chocano really brought some ideas to the forefront of my mind in a clear way. She points out that sexism has infiltrated the thinking of all of us, including women and progressives. I felt shocked to realize the way progressives (even myself on occasion) talked about Hilary Clinton, blaming her for things that men have not been criticized for. Please read the book and see what I mean! Let me know if you see any sexism in your own way of talking about women, especially women in power. It's funny because just before reading the essay, I happened to create the cartoon below which came out of a discussion with my daughter about first ladies and what about first men? Flip the roles and you can see how outdated our ideas are. If Hilary had won, would you have expected Bill Clinton to be in charge of dinner parties, flower arrangements and visits to orphanages? Not that all of that is not important, but still, what is the meaning of this first lady, family thing? President James Buchanan was the only bachelor in the White House. He never married. We almost always vote for couples and we still haven't had a woman president. Whoever you voted for, please tell me which president has been more qualified to run for president than Hilary Clinton? And, if Hilary had won, who would have played the role of First Lady? Carina talks about this gender role problem. She says, "A powerful women will always be attacked on one side for being powerful and on the other for being a women." According to Ms. Chocano, our heroine problem goes all the back to the emergence of hero cult in ancient Greece.Women were ideals and ideals were female, not heroic. I always thought that it was unfair that Odysseus tested Penelope for her loyalty, when she patiently, warded off suitors for twenty years. On the other hand, Odysseus got no flack for adventuring and sleeping with Goddesses and sorceresses expecting his wife to wait for him. What examples do you have about below the surface sexism?